Opposite Abu Dhabi’s Sheikh Zayed Grand Mosque, a series of heavy grey slabs lean against each other, as if arrested in the process of falling. Some appear to be supporting the weight of others; others seem simply caught, mid-descent. 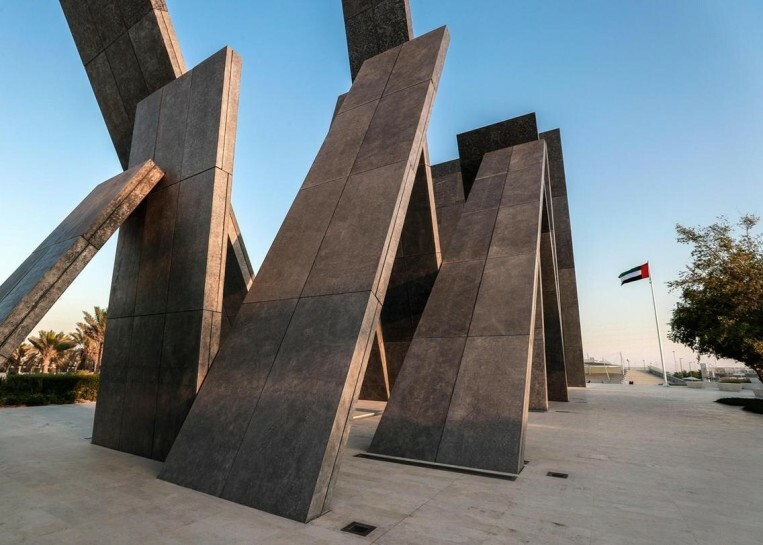 The work is a memorial to the UAE’s martyred soldiers, titled Wahat Al Karama, or “Oasis of Dignity”, by British artist Idris Khan. It opened to popular acclaim in the UAE two years ago, and has been winning critical awards since. Over the summer, the German Design Council announced the memorial had won one of their Iconic Awards for architecture. This was followed a few days ago by the CODAworx design and art award, which recognises, in the words of one of its jurors, how the project calls “our minds, souls and bodies to respond simultaneously”.